As you may remember, I make homemade yogurt* and I generally sweeten it with honey. I've been trying some different brands of honey and recently found one that is really good. 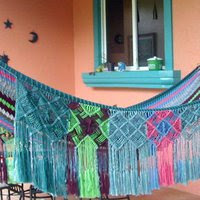 The label mentioned that it is made in Siguatepeque, Comayagua, and that they had a website. 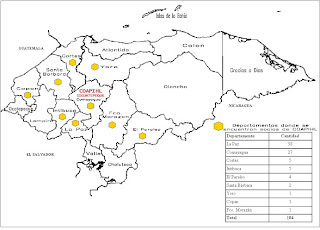 I checked out the Coapíhl website (in Spanish) and found out that it is a cooperative of around 100 small producers, including women. 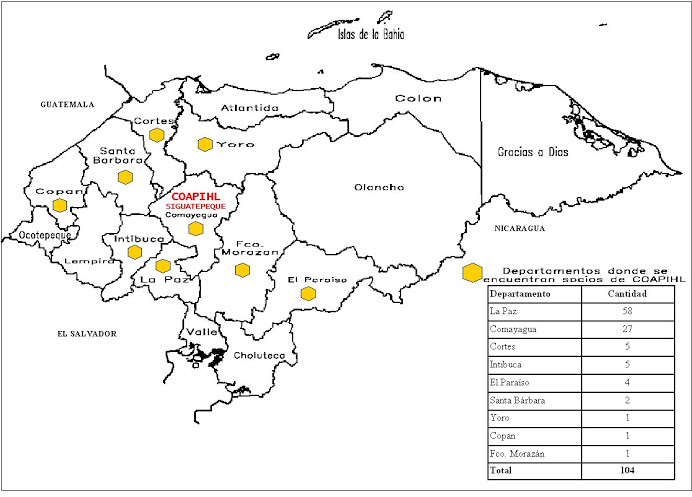 Coapíhl (Cooperativa Apícola Pionera de Honduras Limitada) was originally established in 1977. They began exporting products to Europe in 1985 and to the US in 2007. Coapíhl offers technical assistance and free training to its associates, including training in how to make the equipment needed for apiculture (bee keeping). With support from Heifer International Project HPI, the co-op has helped their associates to increase their productivity, improve their income, and help their families. Apicultue is often a family activity in which the entire family is involved. Check out this heartwarming success story at Heifer's website. It brought tears to my eyes and it will to you also. If you see Coapíhl 100% Miel de Abejas (Bee Honey) in your grocery store, try it out. I think you'll like it. If you don't see it, maybe you could ask your grocer if they can get it. You'll be helping Hondurans to help themselves. *Does anyone know if Yogurt starter (culture) is available anywhere in Honduras? Many readers are looking for an update on our friend David and I'm disappointed to say that there has been no word as to his whereabouts. I've received a lot of emails from readers in the US offering to assist David, to help him to make contact with immigrant organizations, and even offers of jobs. Thank you all very much for caring. One reader even made a deposit to Delmy's bank account to help her and the kids out for another week or so. We've also made another transfer to her account. Not knowing where he is is extremely distressing, because I know that if it was humanly possible, he would have called his wife Delmy to let her know that he was okay. He would know that she would be frantic with worry. I am, too! Since he hasn't called, I wonder if he was robbed, if his cell phone was confiscated by authorities, if he is just somewhere where he can't charge it, or if something worse has happened. ICE inmates are allowed to make calls, but only if they have money in their 'account' to do so. Would a fellow detainee lend him money to call home? I think someone would be that kind if it is allowed, don't you? I haven't mentioned my rainfall statistics in a long time. 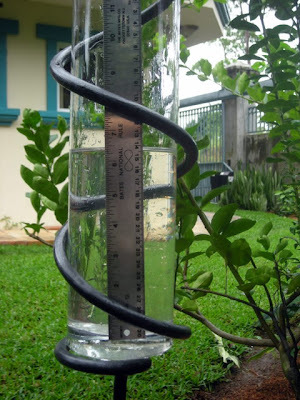 I check my rain gauge every single day and have done this for 4-plus years! I keep a daily spreadsheet and update my La Ceiba rainfall tables on the Blogicito every now and then. Can you tell I was a former auditor? I like to keep track of those numbers. El Heraldo reported that 56 immigrants, including Hondurans, were rescued after being found locked in an abandoned house in San Juan, Texas. They had no food, water, electricity, or sanitary facilities and were forced to use cans and empty bottles in place of a toilet. The "stash house" was locked with chains and padlocks from the outside. 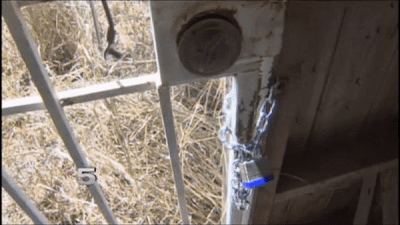 According to Valley Central news, there were 40 people in the house and that authorities arrested the female coyote, who had $4,000, her two small children, and five immigrants in her car at the time. They found two more immigrants in her home. After questioning, she led them to the stash house. This article includes video of some of the migrants, but I didn't see David. San Juan (near McAllen) police said it was one of the worst stash houses that they've seen. This KRGV video shows more of the house. "It's not a condition that any human being should be living in. They (the human traffickers) will try to get as much fear and as much indignity to make them want to get out of here and pay the money to move on to where they want to go," Garcia said. In searching for "stash house", I ran across this recent NY Times article about border security. It reports that the coyote price from Central America is now around $7,000. The article also includes a series of photos. "The only solution, unthinkable here, of course, is to do what the Soviets had done: deadly minefields near the border, watchtowers with border guards licensed to kill." March 17: Where is David? David's wife Delmy and her son Christian came to visit Thursday morning about a month after David left. I slept late on Thursday and when I came downstairs, El Jefe was on the front porch talking with Delmy. I was afraid that it wasn't a good sign. As I came out, El Jefe said that David had been captured after he crossed the border. Oh, no! I hugged Delmy not knowing what else to do. I sat down to talk with her and El Jefe went back to work on his latest project. How are you? Fine. How are the kids? Fine. Are the children missing their dad? Yes. How is school? Fine. Are the teachers striking much? No. Etc. Etc. Hmmm. Why is it that El Jefe can chat with anyone for three hours and I can't get two words out of someone? I wanted to talk to her alone as I thought maybe she didn't want to talk in front of Christian but the opportunity didn't arise. Has David called? "No, I called him and he was okay but now he doesn't answer his phone! I don't know where he is!" Then came a tumble of words, the gist of which was that David's brother in the US heard from a coyote that David had been detained after he crossed the US-Mexico border. We first met David about 11 years ago when he was working for the constructor who was building our house. David was an albañil (brick layer) who came in towards the latter part of the construction as his specialty was the concrete finishing work. Smooth walls! David is a pro. Our concrete walls are actually smoother than our sheet rock walls. In fact, if you didn't know that most of the walls are concrete, you probably wouldn't guess by looking at them. David is ambitious and eager to learn. He always has a positive attitude. One thing we liked so much about David was that he was willing to try the crazy things that the gringa wanted done. (Not really crazy, but let's just say maybe not the Honduran way.) He wasn't only willing, but he was eager to learn new things. Only once he told me, "No hay de otra." (There is no other way.) I said, "Siempre hay otra manera." (There is always another way.) I think he took it to heart. A few months after we met him, he came to our apartment to ask to borrow 1,200 lempiras to buy a bicycle (the common form of transportation for construction workers in this part of the country). His bike had fallen apart for the umpteenth time and couldn't be repaired any more. He was an honest, hard working, and sensible guy, but with a wife and small child, he wasn't able to save any money for anything. We lent him the money and he paid us back every week as promised. When most of the construction was done, we kept David on for a few months to finish up several things. Later we contracted with him to build our muro (concrete wall around the property). He finished on time and on budget. His wife had a baby girl during this time and they named her middle name after me! What an honor. Occasionally he would bring up the idea of going to the US. I always tried to discourage him, partly because I don't believe in breaking laws and partly because I know that it often does not have the happy ending that immigrants think it will. I joked that the roads really are not paved with gold and more seriously told him that the cost of living was much higher there, that illegal immigrants are sometimes taken advantage of, and that the journey is very dangerous. Over the years, we lost contact for a time. His old phone number didn't work anymore and he had moved. Finally a year or so ago, El Jefe ran into him in town and we reconnected. David came to visit a few times riding a motorcycle. He had moved up in the world. He was running construction projects building houses and was doing pretty well. He now had three children and his wife said that's it (no mas!). (She was pregnant with the third child in the photo at top.) I joked that the next time we saw him, he'd probably be driving a Prado (expensive Toyota pickup). Then his motorcycle was stolen. Since he was paying for it on credit, he had insurance but still had to pay a hefty deductible. Soon after that he thought he saw it and recognized the guy driving it. I asked him if he went to the police, but I knew what the answer would be: No, it's too dangerous. The criminals could come after him or they might even be working for the police. That's life in Honduras, where you are as afraid of the police as you are the criminals. Then David had an accident while he was driving his new motorcycle. He swerved to avoid being hit by a taxi and lost control of the motorcycle. The taxi driver continued on, leaving David lying by the side of the road with a badly damaged leg. That's also life in Honduras. We know four people who have been victims of hit and run drivers. Each was left lying injured by the road with no more care than if someone had hit a squirrel in the road. So now he had medical expenses, repair expenses, and couldn't work as much. Luckily he could still supervise his current construction project but couldn't do any work himself for awhile. A few months ago we had a small job for him doing the wood ceiling on our upstairs terraza. He does some carpentry work, too, and did a great job on the ceiling. He came on the weekends to get it done. Later we invited the whole family over. We hadn't seen the little girl since that photo at top was taken. I was amazed when her mother told me that she couldn't even sleep the night before she was so excited about seeing the gringa lady she was named for! David wants to build his own house and quit paying rent. He has a piece of land and the ability to build it but not the cash for the materials. It's not uncommon for people to not pay for work done and David, like many people we know, has been cheated or made to wait months to get his hard earned pay. Now the construction business is in a downturn here in La Ceiba. Finding new projects is getting harder and harder. David dropped by one Monday morning in a surprise visit. I invited him to stay for lunch. I left him and El Jefe chatting while I went to work on lunch. Passing through the sala one time, J said to me, "David is here to say goodbye." "What!?" I exclaimed, though I already knew what he was going to say. He is going 'mojado' to the US, to try to make and save some money for three years so that he can build a house. 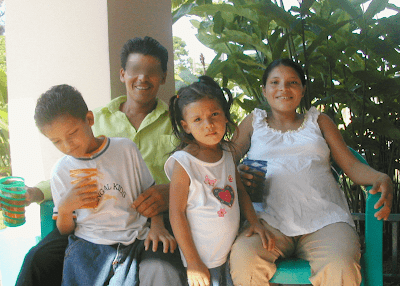 Beside the danger in doing so – many Hondurans have been killed or kidnapped in Mexico – and the risk of being arrested and put into prison in the US, all I could think of is his family. His wife has never worked. David wanted it that way. He feels that it is the man's job to take care of the family. His children are adorable, bright and outgoing, due in no small part, I'm sure, to having good parents and good solid church-going family situation. What will happen to them? His oldest son is 12. He worships his dad and emulates him in so many ways. I'm sure that he will take over as the man of the house but what if he starts running with the wrong crowd or gets pressured into joining a gang? It happens everywhere. What if David can't find work or can't save enough to come back in three years? Christian would probably quit school to go to work to help his mom. What if Delmy and the children become just another impoverished and abandoned family? David believes that God will look out for him and his family and that going to the US is his only hope to be able to build a home. During lunch, they were talking about how hard it is to get ahead in Honduras in even the most meager ways and about all the people they know who have left. J's nephew left a few months ago and saw one of his fellow traveler's die. The boy fell asleep and fell off the top of the train and was crushed to death under the wheels. "What a country this is when the only way to improve your life is to risk your life to leave it!, I said, just before I burst into tears to the surprise of everyone there, including me. I don't know why this affected me so much but I was teary all afternoon. I guess it is because I believed that David and his family were doing okay. Not great. Probably not even comfortable by most standards, but okay for a family in Honduras. They gave me hope that if you worked hard and were enterprising and honest, that you could live a decent life. I've met many women whose boyfriends or husbands left with the same good intentions but eventually just abandoned their wife and the children left behind. I can't imagine that David would ever do that. He's too honorable a person, but just the separation for who knows how many years would be devastating for any family. It's just so depressing! After lunch, David left to catch a bus to Guatemala. He left with only the clothes on his back and a little money in his pocket. He didn't even carry a backpack as a backpack sets the traveler up to be a target in Mexico from those criminals who make a living extorting thousands of dollars from the families of the mojados. Oh, he did carry a couple of my empanadas for his dinner. The other day there was a poll on television. "If you had the opportunity to emigrate to another country, would you?" When I last saw the results, 60% said they would leave. This happened about a month ago. I wrote this the day that David left but had second thoughts about posting it. I don't like to post about friends or family, but sometimes I get frustrated that there isn't much left to write about. Then Thursday we had a tearful visit from Delmy, David's wife, and I wanted to tell their story. I ran across a recipe for Indian naan bread that sounded good. Then I wondered if we could cook that on The Grill, too. Sure enough, I found a recipe for grilled naan and the accompanying photo looked delish. Tried it. Loved it. You should try it, too. Then I started playing with more grilled bread. One night we used naan breads for chicken fajitas instead of tortillas. Another night, we roasted some garlic – on the grill, of course, and made some garlic bread out of some leftover pizza dough topped with a little mozzarella/Parmesan mixed with some Italian seasoning. One time I made calzones with leftover pizza dough. Another time I added cumin seeds to the naan dough and we just ate it plain as a side dish. Hot, fresh grilled bread. Tasty. It's hard to describe, but grilling bread goes so far beyond the flavor and texture you can get from the oven. It's quicker than the oven, too. I think this is another case of modern advancements not really improving upon the old ways – like machine made tortillas! One day we had some leftover roasted chicken (El Jefe's unparalleled recipe made on The Grill, of course), and I had the idea to make some stuffed naan bread for lunch.